Is an Oscar Win the Kiss of Death for Black Actors? Posted on March 3, 2012 by Warin	in Academy Award, Denzel Washington, Halle Berry, Hollywood, Octavia Spencer. I rooted for both Octavia Spencer and Viola Davis during last Sunday’s Academy Awards. I’m not one who usually cares for award shows, but this year’s Oscars had the weight of history on its broad shoulders. 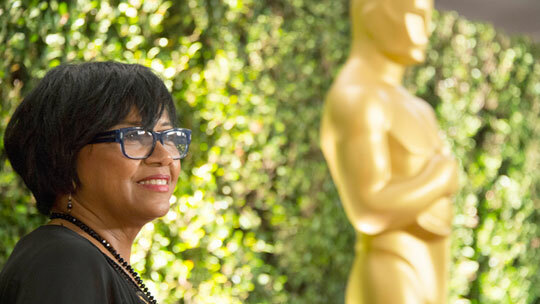 See, not only were two black women nominated for Oscars, they were favored to win. Both Octavia Spencer and Viola Davis had received critical acclaim for their portrayals as Minny Jackson and Aibileen Clark in Dreamworks’ “The Help.” The idea of black women playing maids and being awarded for it, is in itself nothing new. You can go as far back as 1940 with the case of Hattie McDaniel, who won an Academy Award for her portrayal as (you guessed it) a maid. 72 years later, it seems Hollywood has not come as far as one would expect in acknowledging black women (or women of color for that matter) for roles beyond that of domestics. An even more troubling development is that an Oscar win hasn’t exactly been a golden ticket to unlocking better roles or more consistent work within Hollywood. This has especially been true for black actors and actresses. Octavia Spencer is just the latest actress of color whom people are wondering what her next step will be. If the past is any precedent, Spencer’s future might be murky at best. Since winning an Oscar for Best Supporting Actress in 2010 for her role in “Precious,” Monique has had a canceled late night TV show on BET and nary a film role to speak of. Halle Berry, who won the Best Actress Award for her role in “Monster’s Ball” in 2002, hasn’t sniffed another Oscar since. Her most memorable film since “Monster’s Ball” might be her work as Storm in the X-Men series. The lack of consistent work isn’t just limited to the ladies however. Cuba Gooding Jr.’s career basically fell off the edge of the earth after winning for Best Supporting Actor in “Jerry McGuire.” He too has not come close to winning another Oscar. It hasn’t all been negative though. Since winning an Oscar for Best Actor in 2002 for “Training Day,” Denzel Washington has only garnered more acclaim and recognition for his work. Finding work has not been trouble for Mr. Washington. The problem is Denzel is the exception and not the rule when it comes to black actors in Hollywood. Maybe things will be different this time for Octavia Spencer. Or maybe, after 72 years, we still have to wait yet a little bit longer to the day when an Oscar win by a person of color is no longer a noteworthy thing.